« Nosy Neurotypical Neighbours – What’s up with them? 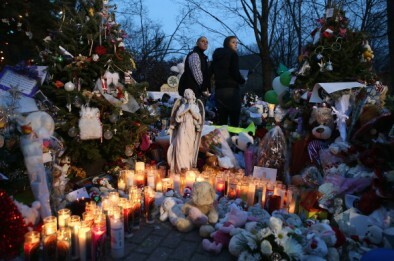 The horrifically tragic mass shooting at Sandy Hook Elementary School in NewTown CT, U.S.A., Friday December December 14, 2012, which took the lives of 20 beautiful and innocent children and six brave adult educators left most people, not only in NewTown, o the United States, but all over the world, shocked and grieving. 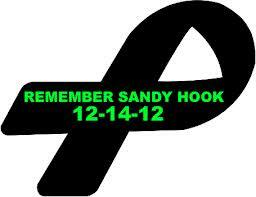 I want to extend my deepest sympathies to NewTown, and all who lost loved ones in this senselessly violent and tragic way. May the tragic and senseless murder of these innocent children be the tipping point for change in the United States, not only gun law change, but a change from a culture of violence to a more peaceful culture. These angels need that meaning to be attributed to their short lives and senseless deaths. Anything less than this will just be another political failure to truly represent what the majority of Americans want, safe schools, a more peaceful society where innocent children and educators are not murdered in mass shootings leaving not only a country, but a world grieving. These children cannot be lost in vain. Remember them with action for change in your culture and your gun laws and mental health system changes so that more can be helped before they end up doing what this shooter did. What is also very concerning for those of us with Asperger’s Syndrome and our loved ones is that the shooter who perpetrated this horrific violence in NewTown apparently had Asperger’s Syndrome. This has lead many in the media to give a lot of stigmatizing and inaccurate inferences about Asperger’s Syndrome. Asperger’s Syndrome is not a mental illness. It is also not something associated with planned violence, such as Adam Lanza’s mass shooting at Sandy Hook Elementary School. Media in the United States, in particular, are now trying to correct some of their errors first reported with the, I think, still unsubstantiated shooter’s Asperger’s Syndrome. However, even in their attempts to make corrections, correctly informing people that Asperger’s Syndrome is on the Autistic Spectrum, at the hightest functioning end of that spectrum and that there is no evidence whatsoever that it is associated with planned violence at all, some programs, like a guest on the Dr. Drew show last week, while making clarifications in one paragraph, then followed that up by lumping (unintentionally I think, but still stigmatizing and the error was not corrected) Asperger’s in with a list of Mental Illness the guest expert was talking about. This is not helpful. I have also seen “talking head” experts on a wide variety of shows who have said that while there is absolutely no correlation between Asperger’s Syndrome and “planned violence” they have then said something about people with Asperger’s being aggressive or angry or implying some possiblity of violence but just not “planned”. Without further explanation, this too is stigmatizing and confusing for those who would misunderstand or still think that people with Asperger’s would be dangerous like that shooter in Newtown. What they have failed to make clear is that some people with Asperger’s Syndrome, due to stress, frustration, over-stimulation (as others on the austistic spectrum can also exhibit) can, at times, have what are known as meltdowns. That’s when one just gets overloaded and stressed out and for some there is some anger or aggression in blowing off that steam so to speak. But this has nothing to do with shooting anyone or attacking anyone. This is a personal push-back against their own frustration which is turned more inward than outward and which is not the kind of violence that a mass shooter perpetrates at all. Not even close or to be associated with planned violence and killing people at all. Whatever the outcome of further understanding of that shooter or lack thereof, what is very important, right now, is that people understand that people with Aserpger’s Syndrome are not shooters. That shooter in NewTown did what he senselessly did out of much more than a “lack of empathy” and if he has Asperger’s it is not the reason why he make the choices that he did. People with Asperger’s do not “lack empathy” the way that is often stated and that the DSM Criteria lists. And why is Asperger’s, which is not a mental illness in the “Bible of psychiatry” anyway? People with Aserpgers do have empathy. They feel empathy. They are often very sensitive and emotional and respectful of people’s pain and feelings. What is vastly different for many with Asperger’s than Neurotypicals is the lack of expression of that empathy often and/or the reality that one with Aspergers can express empathy often in ways that are unlike the ways Neurotypicals understand it. Therefore, it is often not recognized. Much of what you might read about Asperger’s on the web, does not fit all people diagnosed with it. Each person with Asperger’s is an individual. However, what we do know is that people with Asperger’s do not plan and execute violence. To make the mistake of associating people with Asperger’s with that NewTown shooter, even if it turns out that he had Aspergers, it was likely just one of what is likely other diagnoses, or severe issues/problems that he had. None of which justify in any way his actions. The media needs to stop running with labels that can have a very damaging effect on the lives of countless people, in this case with Asperger’s Syndrome, and stop giving us “expert” explanations of Asperger’s from Neurosurgeons like CNN’s Dr. Gupta, or doctors like Dr. Drew, who is a medical doctor and an addictionologist but not a psychiatrist or psychologist and instead here from learned experts – neuropsychologists, who can speak much more clearly about what Asperger’s Syndrome is and that it is not correlated whatsoever with planned violence. It must also become more of a talked about reality that these mass shooters do not just “snap”. They cannot “snap” one minute and have all those guns, bullets, body armour, oh just ready to go now can they? Does the media ever stop to consider that they need to stop sensationalizing these criminals, these (mostly in the U.S.) mass-killers who often, regardless of issues, reasons, etc, are firstly, not always mentally ill at all, as was pointed out by Dr. Michael Welner, a Forensic Psychiatrist on The View and a couple of other shows. He talked about how these shooters make a choice to avenge their grievances or failures in this manner because they can go from feeling invisible and unknown – uncared for or not cared about and unimportant (ways he says they often feel in their lives) to infamous in seconds with endless media coverage and they leave in the wake of their senseless (selfish) violence lost loved ones, many grieving loved ones, and a media-driven notoriety that lives on and fulfills their desire to be seen, to gain power when they feel helpless, to avenge what they are angry and/or depressed about – not that any of that is reason for killing anyone. It is high time also that the media realizes that not all of this violent behaviour is the result of mental illness. They talk a lot about psychotic breaks (not a symptom of Asperger’s by the way) and maybe for some of these killers (many are psychopaths don’t forget) they may well have a psychotic break and for some that psychotic break is actually the result of just having started or suddenly stopped psychiatric medications – or perhaps, there might be side-effects and damage being done to the brain by these drugs which many professionals say are the basis for chemical imbalances in the brain – not mental illness – it’s not a chemical imbalance in the brain, it’s the psychiatric meds that upset and wreak havoc on the chemcial balance, thus creating a chemical imbalance in the brain. A great book on this topic is Robert Whitaker’s “Anatomy of an Epidemic: Magic Bullets, Psychiatric Drugs, and the Astonishing Rise of Mental Illness in America.” (A rise in mental illness that several professionals associate directly with the rise in biopsychiatry, the notion (unproven psuedoscience) that “mental illness is a brain disease” that requires “psychiatric medication”. I have not seen one U.S. media interview with an actual expert in Asperger’s Syndrome to provide a comprehensive understanding to people about why even is this shooter had Asperger’s it is not the reason he made the choice, that’s right, choice that he did to senselessly and selfishly murder those 26 people, may God rest their souls and be with their loved ones as they grieve the loss of each victim, gone to soon, and gone at the hands of a person who wanted to be known more for something unthinkable, tragic and heinous – someone who just didn’t care about anyone or anything but that – not even himself. © A.J. Mahari, December 22, 2012 – All rights reserved.